Situated at the high point between Denver and Colorado Springs, this growing residential area features rolling, arid hills and views of Pikes Peak to the southwest. Adjacent to the Pike National Forest and just north of the United States Air Force Academy, the Tri-Lakes area provides easy access to Colorado’s major metropolitan centers via I-25. The wooden sidewalks of historic downtown Monument, headquartered at Second and Front streets, lead to a folk art gallery, a Victorian tea house and gift, antique and toy shops. In addition to an endless supply of fast-food chains, Monument is also home to several independent restaurants. 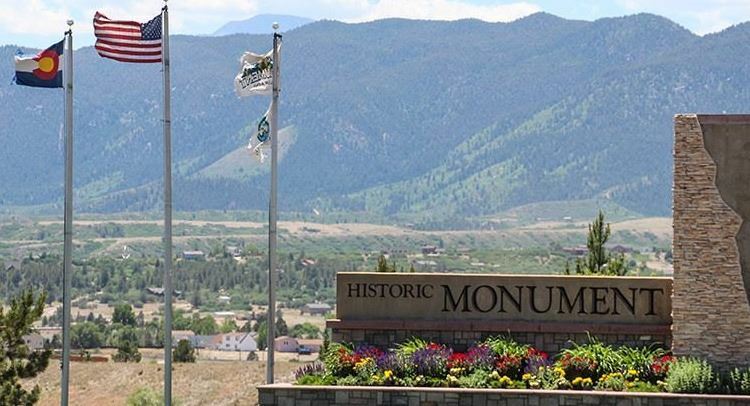 Several recreational areas dot the landscape in Monument and its surrounding communities. The 15-mile Santa Fe Regional Trail, starting at Palmer Lake and running south through Monument to the southern boundary of the Air Force Academy, follows part of the old Atkinson, Topeka and Santa Fe Railroad. One of the largest continuous trails in El Paso County, the graveled route supports a wide variety of activities such as biking, hiking and horseback riding. Cross-country skiers and snowshoers enjoy the pathway in the winter.